To make improvements on your business’s financial position, you have to assess every aspect of your business and identify areas that need improvement. 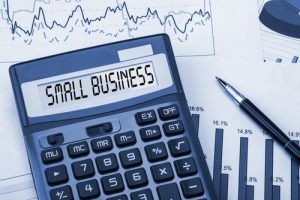 There are many factors that determine your business’s overall financial state. There are also certain actions you can take right now that can give you better results. Here are the top 10 ways to improve your financial business position. One of the best ways to improve your financial situation is to reduce expenses. Take a look at every area of your business and see if you can find cheaper alternatives for supplies, equipment and services. See if you can find better terms for bank accounts and insurance policies. For larger expenses, find out if you can arrange periodic or deferred payments to keep more cash available for you. Unpaid invoices can really harm your cash flow and the overall health of your business’s finances. If this is a recurring problem for you, it may be time to use a debt collection agency. In the meantime, make sure you regularly remind debtors of their obligations. Also, when making sales agreements, make sure the terms are clear about when the payment is due and terms for overdue payments. Do you have items that you no longer need that are just taking up space? Selling them gives you immediate cash. If you’re paying for storage, you also save money on this expense. If you have a large number of such items, consider putting them up for auction. There are auction houses that specialize in business items. Or sell items yourself online with eBay or another online auction or retailer. When seeking ways to improve business finances, it’s important to look at your current debt. If you have significant debt, it may be advantageous to consolidate it. It’s often simpler and more economical to refinance your debt into a single payment. Do some research and compare different plans before committing to a new arrangement. When it’s feasible, lowering your prices is always a good way to drum up business and improve your business’s financial position. Of course, you have to make sure you’re not losing money. However, in some cases, even a slight markdown helps make your products or services more appealing to customers. While lowering prices often helps you get more customers, in some cases, the opposite strategy is a better option. Some businesses offer prices that are below market, perhaps because they haven’t adjusted them in a few years. If you can increase your prices without losing too many customers, you may find that this is a good way to improve your financial business position. The more options customers have to pay, the more chances you have to make sales. In addition to credit cards, some people prefer to pay via personal checks or payment systems such as PayPal. Some businesses now accept Bitcoin as well. See how many new payment options you can offer. Do some research on any grants for which you may be eligible. The Small Business Administration, for example, provides grants and loans for small businesses. Another option worth looking into is crowdfunding, which is especially suitable if you have an innovative new product or service on the horizon. Applying for a loan can help you acquire some needed capital and improve your business’s financial position. If your business credit isn’t established yet, if your growth rate makes your bank uncomfortable, or if you simply want to avoid debt, explore invoice factoring. If you can raise some money on your own, perhaps from savings, friends or family, you’ll be in a better position to negotiate terms from institutional sources. If your marketing isn’t up to date, this is a good time to look for ways to improve it. Consider all of the latest marketing options and platforms, such as email, social media, video and retargeted advertising. Make sure you test all of your ad campaigns to make sure you are getting a solid ROI. Whatever your business’s financial situation, Riviera Finance is ready to discuss your cash flow needs. Contact us today. If we can’t help you with invoice factoring, we’ll do our best to find a source for you.